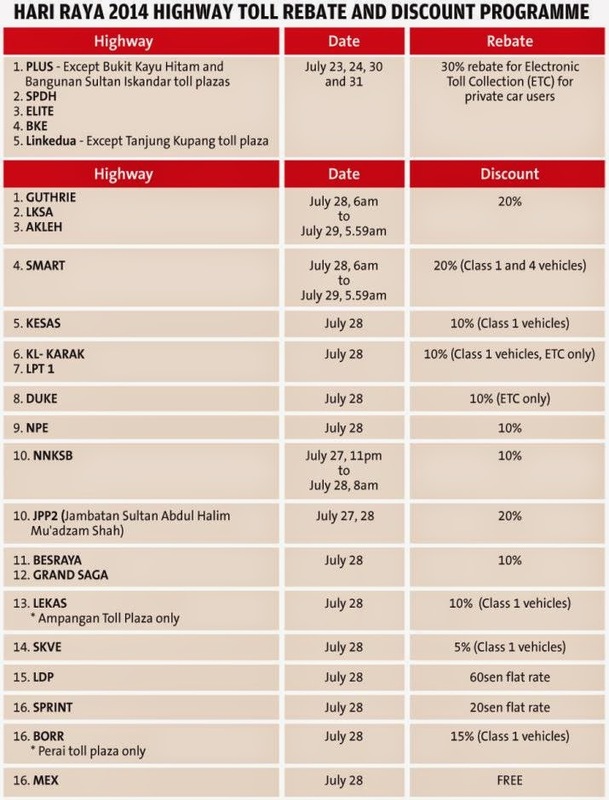 Motorists travelling during the Hari Raya period this year can expect discounts on highway toll rates nationwide. 23 highway concessionaires had agreed to provide incentives to road users in the form of free tolls, discounts and rebates. 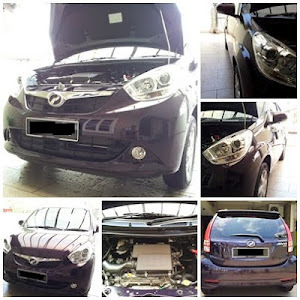 PLUS, which operates five highways, will be offering a 30% discount for Class One vehicles using the Electronic Transfer Card (ETC) PlusMiles and Touch ‘n GO card on July 23, 24, 30 and 31 of year 2014.